Foscam F19821W V2 Review – Is It A Good Buy? Comes with – network cable, wi-fi antennae,mounting bracket, power supply, user manual and installation CD. A very cheap camera (usually sub $85) that is aimed at the home/small business market. It primarily targets the home environment and Foscam market it as a device for keeping an eye on your home or as a baby monitor. It records 2 way audio so if you want to monitor elderly parents for example you can talk directly into the system. Remind them first or you just might freak them out. The advantages of an IP network camera is that you can stream the footage live over the internet and log into each separate camera if you use a multi cam set up. Access your footage without logging into a computer with Live Cams Pro for iPhone and TinyCam Monitor for Android devices. Software like Blue Iris and VLC player can be used to watch your footage on PC’s. Is The Foscam Fi9821w A Bandwidth Hog? 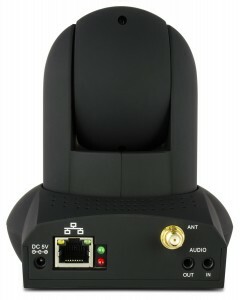 Thanks to H2.64 compression which is a professional video industry standard even used by high end video production companies and online services, working along with a decreased bandwidth streaming system, the Foscam FI9821W V2 can easily stream footage across your wi-fi system without a tremendous time lag, and without eating up all your bandwidth. This is ideal, if you get a warning email or text sent to you, the ability of seeing images almost in real time is what you want to have. As it records in HD you will be able to view your images with more detail and clarity, the advantages are welcomed if you are viewing on a larger screen. The chipset is faster in this camera than the SD version to cope with the demands of HD recording. 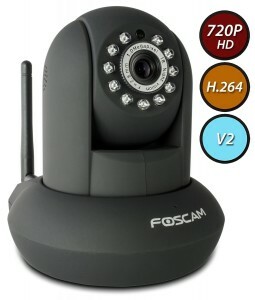 Does The Foscam Fi9821w V2 Have Motion Detection Technology? The Foscam fi9821w version 2 is also equipped with motion detection recording which will not also save recording space on your hard drive, but it will also alert you by email if it suspects a breach of security. The FI9821w is simple to get up and running. Like all the best modern wireless devices coming out over the last 12 months you can connect the camera to your wireless network by pressing the WPS (wi-fi protected set up) button at the back of the camera. You need a WPS compatible router for the one-button network link up. Next you configure the set up port-forwarding options and your camera is ready. If you are unsure about port forwarding all the info is available on Foscam’s official site plus all the latest firmware updates for your camera. Here’s some more info on how to set up any Foscam IP camera to watch outside your home on Android devices or iPhone or on a computer. A good improvement over the exceptional FI8910W and not a massive increase in the price. Foscam know they are on to a good thing here so no need to upset loyal customers with a huge price spike due to the HD upgrade. Yes the processor speed and the SD card additions in the Foscam FI9821W V2 were inevitable but welcomed improvements. If you would prefer higher-res images (who doesn’t and the picture quality of the fi9821w is worth the upgrade ) this is a good upgrade or a good first time buy if you need a cheap security camera. Very easy to view footage and audio over any net browser. The FI9821W V2 can also be mounted outdoors and for some tips as to secure and protect your camera (s) see here.